Last week, I was in the mountains of Western Massachusetts at a yoga retreat center assisting my teacher Sage Rountree in some trainings for seven days. It was a dream come true, but also potentially nerve-wracking since I was less than a month out from my first CrossFit competition. I’d been to this facility in the past so I knew that I’d be without my usual playground of barbells, kettlebells, and workout buddies. Uh huh — I’m a little spoiled. But what better time to test my workout creativity than this new challenge? Speaking of this upcoming competition, one of the lifts that we’ll be trying to max out at the event is the barbell strict press. I love this lift and do it often, but I’ve been stalled out at 95 pounds for a few months now. Being the problem-solver that I am, I’ve been brainstorming ways to get over that hump and finally break into the triple digits. So I took this trip away from my comfort zone — to the land of no barbells — as an opportunity to mix up my training a bit and try a different approach. Armed with only dumbbells, I worked my shoulders hard and here’s what I realized: Dumbbell work is a super effective way to compliment your barbell training. 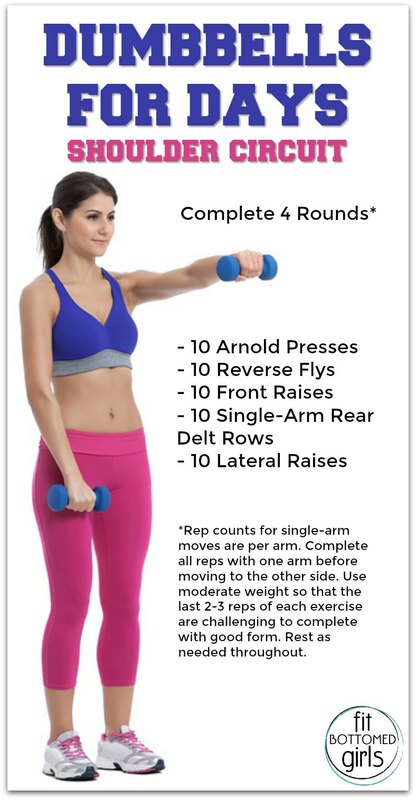 Using dumbbells puts a different demand on your muscles, particularly the stabilizer muscles. So it adds a new layer of challenge, which will ultimately lead to new adaptations in muscle strength. Also, dumbbells force both sides of your body to work equally. In life, we use each arm to perform different tasks. This, if left unchecked, leads to muscular imbalances that may contribute to shoulder injuries down the line. However, when you work with dumbbells, each side of your body must support an equal amount of weight and neither side can do the work of the other. The benefit is that those sneaky little imbalances are exposed and you’ve got a golden opportunity to work on correcting them. In short, dumbbells can make you stronger when you pick up that barbell again — just what I needed. And guess what, shortly after I got home for the trip, I nailed that 100-pound strict press! Check this video out for all the exercise demos. Great tips. I love to exercise but waking up early morning just to do so sometimes is not that great since I have to wake up very early. Still, I’ll keep in mind the tips above. Spot-on articles. 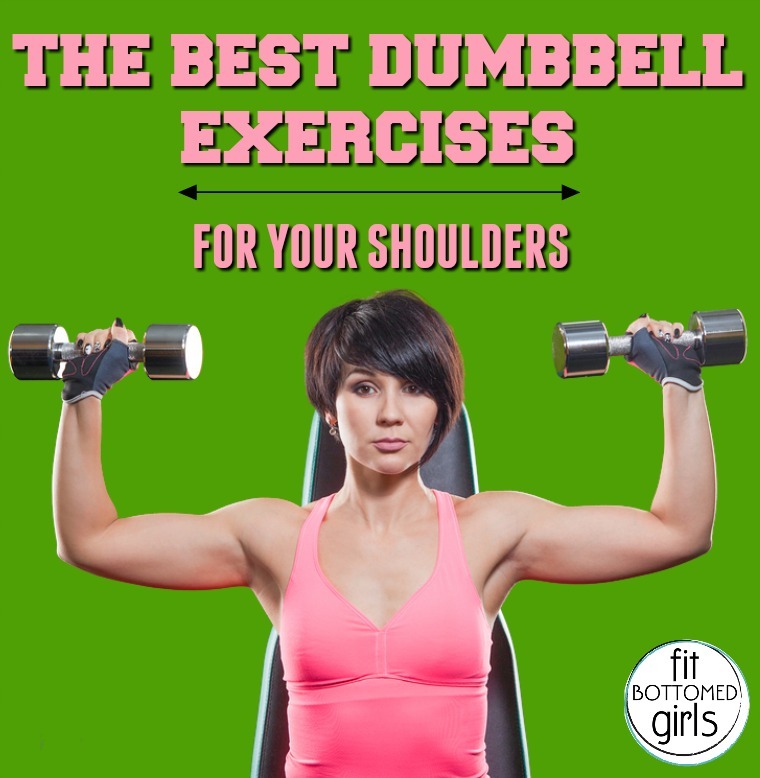 Good shoulders exercises are great for both men and women as they can further improve the body posture thus producing a more attractive image. The shoulder joint itself can be considered as the most mobile joint on the human body. It allows for flexion, extension, abduction, adduction, rotation, and circumduction. Whilst this allows the shoulder to move in almost any range of motion, it also proves that the shoulder is especially susceptible to injury, if the muscles are not trained correctly and efficiently. The home and commercial gym equipment available at Grand Slam Fitness are made of top-grade quality steel, rubber and other kinds of high quality elements. They have the capacity to withstand regular extensive usage over a longer period of time. Achieve your workout goals easily with help of the home fitness equipment available at Grand Slam Fitness. Great exercise and very helpful in today’s hectic work schedule. Great post thank you for sharing this with us. As exercise is the top most remedy to get relief from stress . Thanks for this post. I really like it.